(4) solid wood mallets with 32 inch handles. 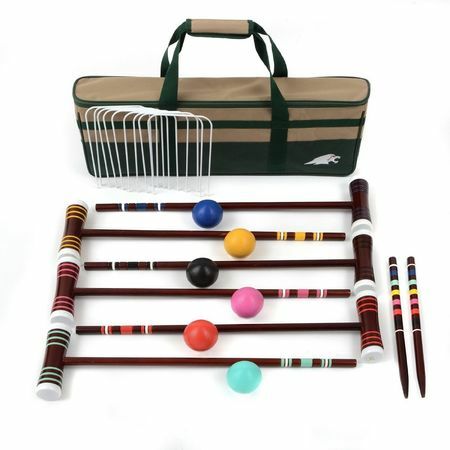 (4) all-weather 3 5/8 in diameter croquet balls. (2) solid wood 24 inch winning poles.